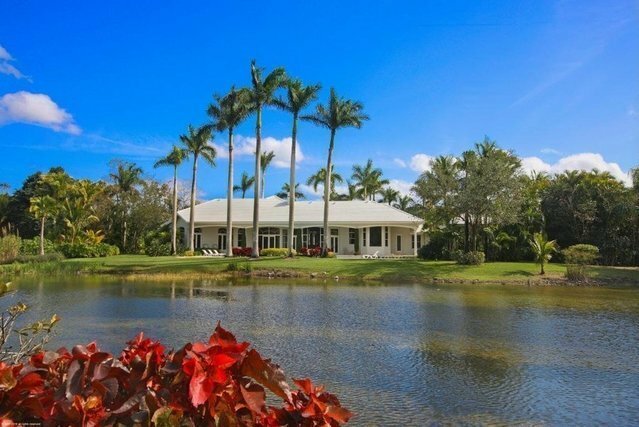 6.42 acre grande estate fenced and gated, featuring a long driveway, and expansive porte- cochere, private tennis court and 1 acre lake. Palm beach inspired decor with plenty of natural light, newer roof, all marble and wood floors, chefs kitchen with center island, 2-sided fireplace, 6 bedrooms and 6.5 baths plus library. Beautiful gazebo with summer kitchen overlooking the lake and pool. Enormous master suite with exercise room, reading room, and sauna, all overlooking the tranquil lake and private grounds.